H.E. Deike Potzel: Ambassador of the Federal Republic of Germany. 19.30 Official Opening: H.E. Deike Potzel: Ambassador of the Federal Republic of Germany. 1987 – 1992 Foreign Service Academy of the Federal Foreign Ministry, Bonn. English and French Language and Literature Studies, Humboldt University BerlinSince 2017 Ambassador, German Embassy, Dublin, Ireland / 2014-2017 Deputy Director-General for Central Services, Foreign Ministry, Berlin / 2012-2014 Head of the Personal Office of Federal President Joachim Gauck/ 2008- 2012/Deputy Head of Division for Personal, Staff Development and Planning, Foreign Ministry, Berlin. Presentation of Essay Prizes by H.E. Deike Potzel. 20.30 Patricia Byrne: The Preacher and the Prelate: Achill Mission Colony and the battle for souls in famine Ireland. Book launch by Sheila McHugh with a response to the book by Hilary Tulloch and reading by Patricia Byrne. The Preacher and the Prelate tells the extraordinary story of an audacious fight for souls on famine- ravaged Achill Island in the nineteenth century. Religious ferment sweeps Ireland in the early 1800s and evangelical clergyman Edward Nangle sets out to lift the destitute people of Achill out of degradation and idolatry through his Achill Mission Colony. A settlement grows up on the slopes of Slievemore with cultivated fields, schools, a printing press and hospital. The Achill Mission colony attracts attention and visitors from far afield. In the years of the Great Famine the ugly charge of ‘souperism’, offering food and material benefits in return for religious conversion, tainted the Achill Mission’s work. John MacHale, powerful Archbishop of Tuam, spearheaded the Catholic Church’s fightback against Nangle’s colony, with the two clergymen unleashing fierce passions while spewing out vitriol and polemic from pen and pulpit. In the aftermath of the famine, the Achill Mission becomes one of the main Achill landlords leading to further controversy. The fury of the island elements, the devastation of famine, and Nangle’s own volatile temperament all threaten the project’s survival. Did Edward Nangle and the Achill Mission Colony save hundreds from certain death, or did they shamefully exploit a vulnerable people for religious conversion? This dramatic tale of the Achill Mission Colony exposes the fault-lines of religion, society and politics in nineteenth-century Ireland, and continues to excite controversy and division to this day. When Heinrich Böll died in 1985, the first citizen of the Federal Republic of Germany to be awarded the Nobel Prize for Literature, he was widely regarded as the country’s foremost writer and one of its most influential public figures. In the intervening years and as the “Bonn Republic or West Germany was united with the GDR after the fall of Communism to become the new “Berlin Republic”, his reputation was notably downgraded. This was particularly the case in a number of heated literary debates following Unification, which I sketch. I then proceed to look at the critical response to a number of Böll’s novels published posthumously since the turn of the Millennium and examine the contribution they made to the fiercely contested area of Germany’s public memory of National Socialism, WWII and the Holocaust. In a postscript I offer some personal thoughts on the vitality of Boell’s legacy as we commemorate the 100th anniversary of his birth. Frank Finlay is Professor of German Language and Literature at the University of Leeds UK. His research and teaching interests lie in contemporary German-language drama and fiction in its socio-political context, and the role of the writer as public intellectual. He has published books and articles on different topics and authors, and he has had a career-long interest in Heinrich Böll. Apart from publishing a book on Böll, Frank was a member of the international editorial team which produced the 27-volume “Cologne Edition” of the Nobel Laureate’s works. His most recent project involves an international network of scholars investigating cosmopolitan memory in literature from Germany and South Africa, funded by the British Academy. 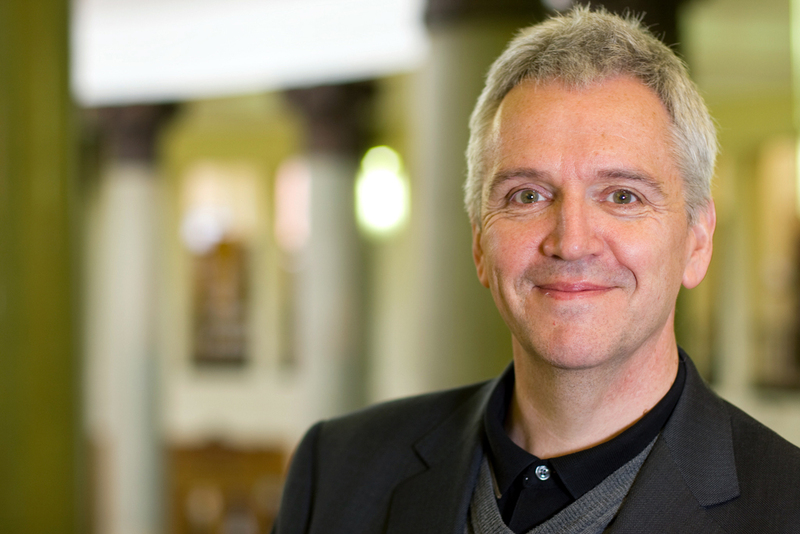 Frank has held senior roles in professional associations and has occupied a number of academic leadership positions at the University of Leeds for well over a decade. He is currently Dean of the Faculty of Arts, Humanities and Cultures, and Director of the University’s Cultural Institute. 22:00 Reception at Strand Hotel. 10:00am. The Deserted Village: Guided walk in landscape with readings with Eoin Halpin. Meet Deserted Village car park. Significant recent research into the Slievemore landscape around the Deserted Village undertaken by the Achill Archaeological Fieldschool has added greatly to our understanding of the area. It is now believed that the area was extensively and probably continuously settled from the Neolithic right through to the present day, with the final phase of permanent occupation only coming to an end in the first half of the 20th century. This walk will explore this varied and unique landscape, taking in the Bronze Age settlement sites which are some 4,000 years old, the Early Medieval graveyard as well as the actual Deserted Village itself. The walk is reasonably strenuous, mainly on trackway, but there is some element of walking across bog land, so a good pair of walking boots is recommended. 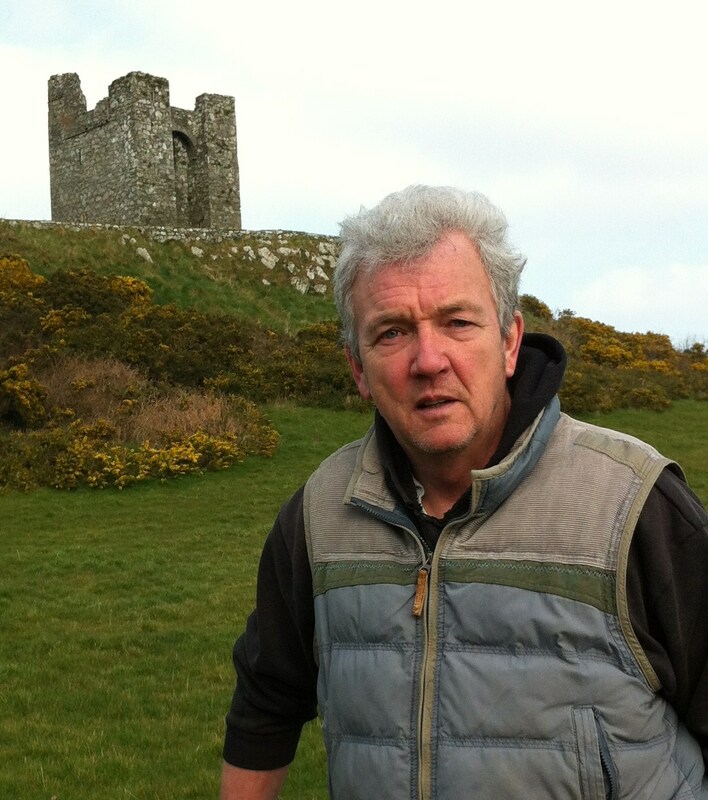 Eoin Halpin is the Operations Manager with Archaeology and Heritage Consultancy Ltd a company founded in 2014. For the previous 25 years he worked with Archaeological Development Services Ltd, and before that for the Scottish Office in Edinburgh. Eoin has worked on all aspects of development led archaeological projects. He has project managed numerous large infrastructural schemes for example, the North-South Gas Pipeline and the A1-N1 road scheme. He is a member of the Chartered Institute for Field Archaeologists and a member of the Institute of Archaeologist of Ireland for which he has acted as chairperson. His work has appeared in numerous publications in academic journals, historic society journals and monographs. 13:00 – 14:00 Lunch: Amethyst Bar Keel. 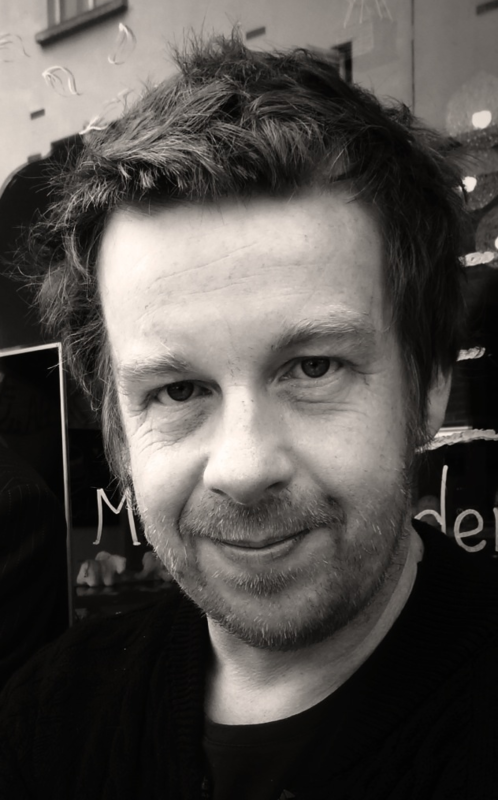 14.00 Writers Workshop with Kevin Barry. Cyril Gray Hall. Kevin Barry is the author of the novels Beatlbone and City Of Bohane and the story collections Dark Lies The Island and There Are Little Kingdoms. 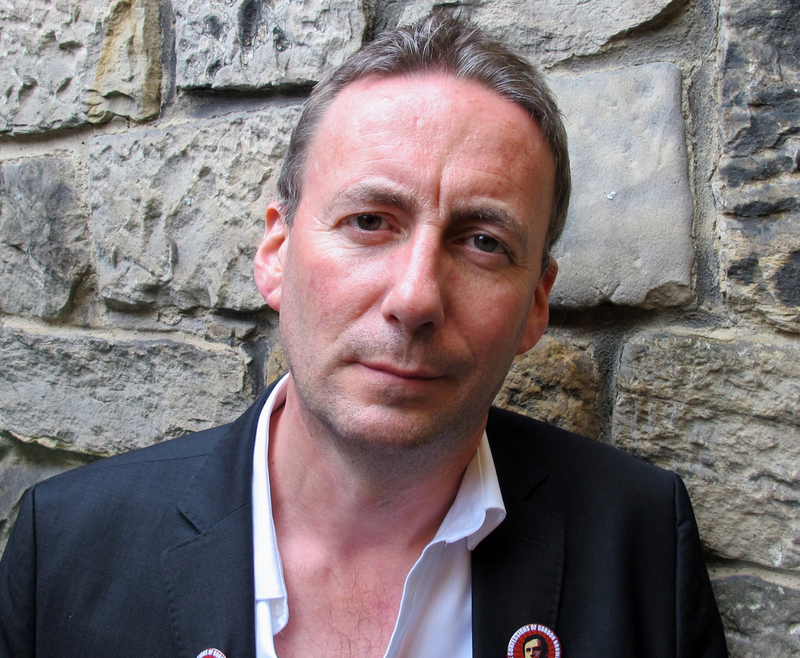 His awards include the IMPAC Dublin City Literary Award, the Goldsmith’s Prize, the Sunday Times EFG Short Story Prize and the European Union Prize for Literature. His stories have appeared in the New Yorker, Granta, Tin House and many other journals. His work has been translated into 16 languages. He also writes plays, screenplays and radio plays. His play Autumn Royal tours this year and his feature film, Dark Lies The Island, opens in the second half of the year. He lives in County Sligo. 15:00 ‘Crossing the Sound’. Poetry and Paintings: Gerald Dawe and paintings by Padraic Reaney. Launch. 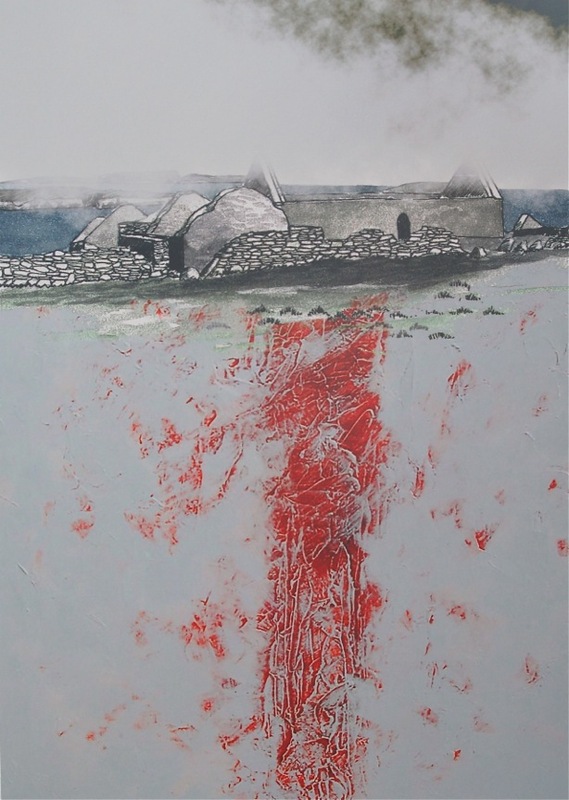 ‘Crossing the Sound’ is a collaboration between poet Gerald Dawe and the artist Padraic Reaney. They met back in the mid 1970s in Galway where Gerald had moved from Belfast to study at UCG, as it then was, and eventually settle down before moving to Dublin in 1992. ‘On a return to Galway the early years returned to me along with some new poems and during several conversations with Padraic we decided to collect a representative sample of the poems I had written out of the west – Galway, but also Mayo – and include alongside the poems, a series of images which Padraic had been working on from his various and long-established fascination with the smaller islands of the western seaboard, including Inishark’. Padraic’s images, some of which will be on display during the Böll weekend, feature in an exhibition of his paintings and graphics scheduled for Kenny Art Gallery, Galway on 12 October 2018. The highly regarded novelist, Hugo Hamilton has contributed a preface to Crossing the Sound. 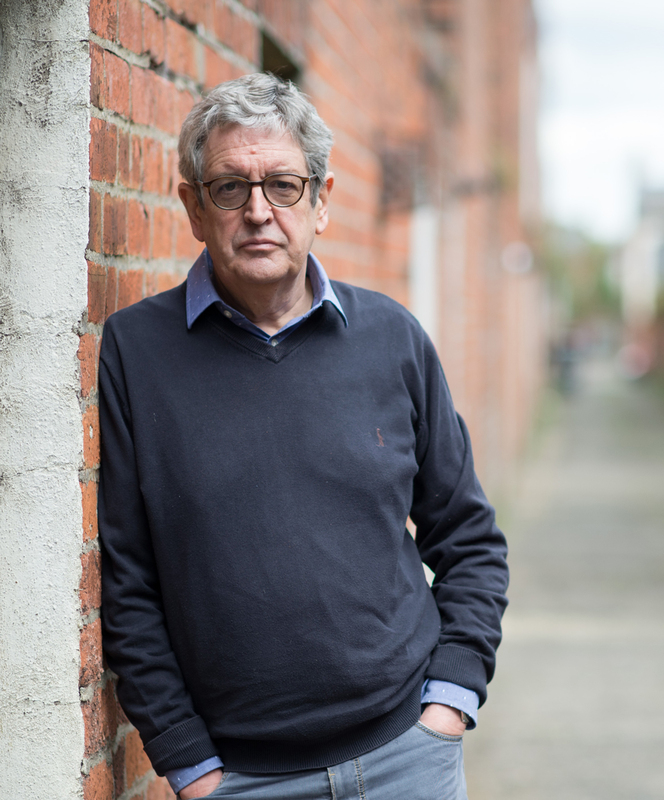 Gerald Dawe is a distinguished poet with over twenty books published since 1978. He was professor of English and Fellow of Trinity College Dublin until his retirement in 2017. Padraic Reaney is one of Ireland’s most distinctive visual artists. His paintings are in numerous individual and institutional collections and art galleries throughout Ireland, Europe and the US. He lives in his native County Galway. All profits from the sales of Crossing the Sound will be donated to Mayo-based cancer charity, Pink Ribbon. Pádraic Reaney was born in Carraroe, Co. Galway in 1952. He studied Fine Art at Galway, Regional Technical College encouraged by the sculptor Oisín Kelly and has been a full-time artist since leaving college. He painted for several years in Galway; later he built a studio in Moycullen, where he now lives and works. He has exhibited extensively in Ireland, Scotland and Wales and his work is in public and private collections in Ireland as well as in Europe, Canada, USA, Brazil, Japan, South Africa and Australia. His work is held in collections such as the Modern Irish Art Collection; Dublin Writers Museum, Ireland; Irish Embassy, London; Ireland’s Great Hunger Museum, Quinnipiac University, USA; Siena Art Institute, Italy; Urawa Wood-Cut Prints Association, Japan. 16:00 Christiane Schönfeld: Heinrich Böll on Film with a special emphasis on the Lost Honour of Katherina Blum. This talk will focus on Volker Schlöndorff and Margarethe von Trotta’s famous adaptation of Heinrich Böll’s The Lost Honour of Katharina Blum, or: How violence develops and where it can lead, providing an introduction to this particular film while highlighting its main themes and reception in post-totalitarian German society as well as its significance in the context of adaptations of Heinrich Böll’s literary works. The 1975 film about Katharina Blum and the bullying and systematic destruction of an innocent woman by the police, the media and, also, the public is one of the best-known film adaptations of a German-language text, especially outside of Germany. Today, Heinrich Böll has a place in cinema history as one of the most widely adapted German-language authors after World War II. In the 1960s, his political engagement and, especially, his provocative literary works inspired young filmmakers eager to overhaul conventional cinema and engage critically with the country and society they lived in. Heinrich Böll thus provided the literary foundation for one of the most interesting creative movements in 20th century film history: the so-called ‘New German Cinema’. Schlöndorff and Trotta’s The Lost Honour of Katharina Blum is one of the prime examples of this innovative cinematic movement, and the film raises key questions about civil society and the role of the press and media within a democratic nation state. The political and ideological struggles in 1970s West Germany form the backdrop to both novel and film, tracing origins and consequences of different forms of violence, but the implicit focus on human rights and the questions raised regarding the state’s obligation to protect the dignity of the individual, make both literary and cinematic text as relevant then as they are today. 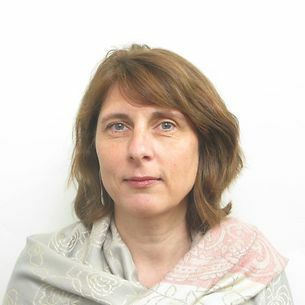 Christiane Schönfeld studied Art History and German languages and literatures in Freiburg, Bonn, Paris and Pennsylvania, where she completed her PhD in 1994. 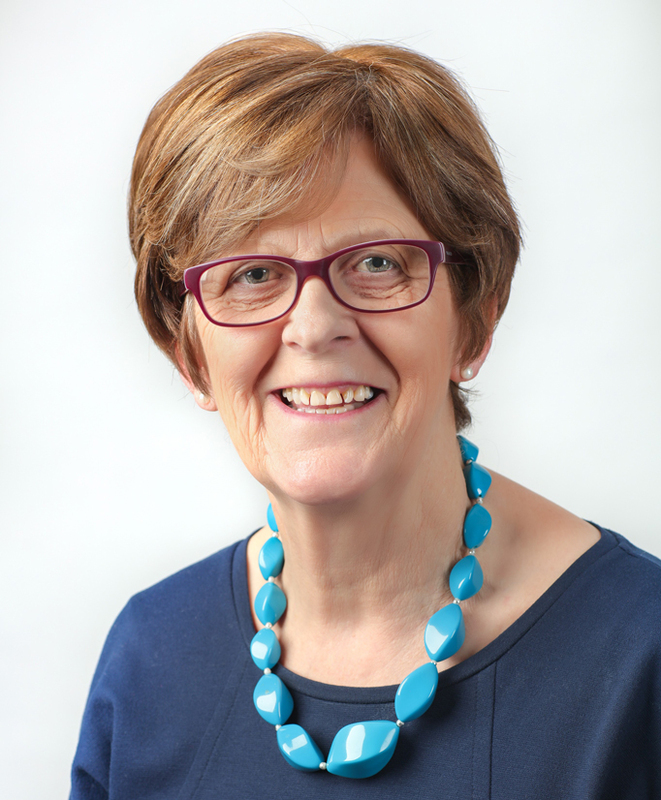 She taught German language, literature and film in the USA (Vermont), GB/Wales (Lampeter) and Ireland (Galway), and was appointed Head of German Studies at Mary Immaculate College, Limerick in 2009. Inspired by her Dad’s enthusiasm for Heinrich Böll, she started reading Böll’s prose as a young teenager, which impacted greatly on her political engagement and participation in civil society. She became active in the German peace movement from 1980 onwards and regularly took part in anti-nuclear demonstrations. Among her publications are Dialektik und Utopie (1996), edited and co-edited volumes such as Commodities of Desire: The Prostitute in German Literature (2000), Denkbilder (2004), Practicing Modernity: Female Creativity in the Weimar Republic (2006), Processes of Transposition: German Literature and Film (2007), Representing the ‘Good German’ in Literature and Culture after 1945: Altruism and Moral Ambiguity (2013) and articles on German literature and cinema, focusing especially on marginalisation, exile, migration and reeducation. 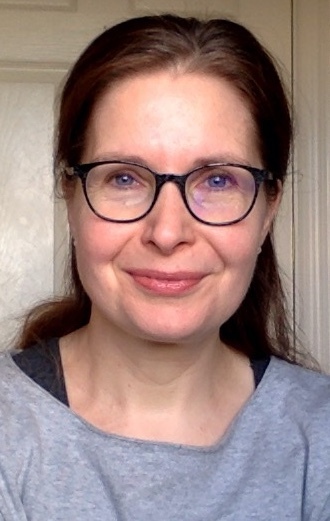 She is one of the editors of the critical edition of the works of Jewish socialist writer Ernst Toller (2015) and of Germanistik in Ireland (2016 and 2017). She is in the process of writing The History of German Literature on Film (Bloomsbury), because stories retold and transposed to cinema or television screens at a particular time almost always raise questions regarding human nature and are fascinating indicators for the state a society is in. 16:35 Film: Lost Honour of Katherina Blum. Maren Wurster was born in 1976 and lives in Berlin. She studied theatre, film and TV studies, German philology and philosophy in Cologne. She was a DAAD-fellow at the Goethe Institut New York and works in the field of film education. She has published short stories in anthologies and journals. In 2016 she completed her Master’s degree at the Deutsches Literaturinstitut Leipzig. “Das Fell” (The Fur) is her first novel. The nonchalance, indeed almost impudence with which Wurster uses the theme of metamorphosis deserves real respect. Moreover, she often writes with such a quiet, magical tone that the reader does not immediately notice the outrageousness of what she tells. 06.10.2017 Matthias Bischoff. Laoise Kelly from Westport, Co. Mayo, now living on Achill Island, is regarded as “the most significant harper of her generation” – Nuala O’Connor. She has pioneered a new style of driving instrumental harping showcased in her three critically acclaimed solo albums Just Harp, Ceis and Fáilte Uí Cheallaigh. 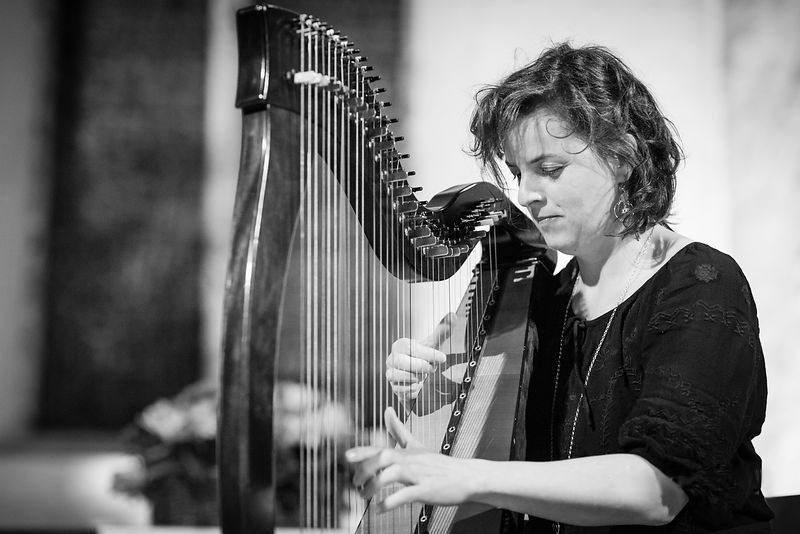 She recently directed the first, highly successful, Achill International Harp Festival, encompassing her role as musical director of a newly commissioned Suite Sraith Oileán Acla for a 15 piece ensemble. Laoise was a founding member of traditional group ‘Bumblebees’ with whom she recorded two albums and toured extensively. She is a founding member of ‘Fiddletree’ a group from America, Cape Breton and Scotland who play 8 instruments made from the same tree- they have two albums to date. 10.00am Guided walk in Keem Bay with Eoin Halpin. Readings: Annemarie Ní Churreáin and Sean Lysaght. Meet upper car park Keem Bay 10:00am. The remarkably beautiful Keem Bay, provides the backdrop to a walk which will take in the geology of the area, including the origins of the once famous Keem amethyst. It will also investigate the Early Christian archaeology, the remains of the old Keem village, and the life and times of Capt Charles Boycott, including a visit to the site of his house and an exploration of the changes which he wrought during his time in Keem. Finally the walk will look at the role and development of the Achill coastguard and the remains which dominate the bay. The walk is reasonably strenuous, mainly across bog land and marsh, so a good pair of walking boots is recommended. ANNEMARIE NÍ CHURREÁIN is a poet from North West Donegal. In 2015, she was granted a residency at The Heinrich Böll Cottage. In 2016 she was the recipient of a Next Generation Artists Award by President Michael D. Higgins on behalf of the Arts Council. In 2017, Ní Churreáin was appointed to the Writer In Prisons Panel co-funded by the Arts Council & the Department of Justice and Equality. 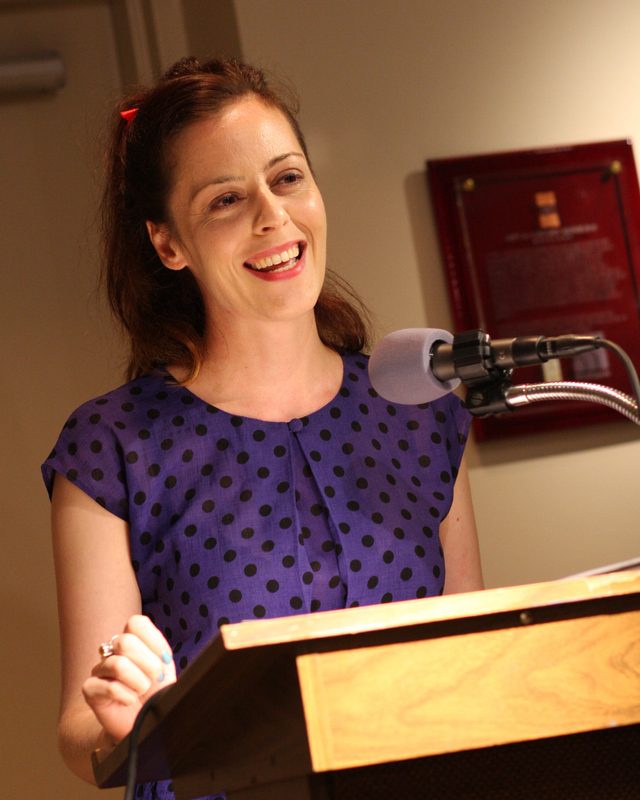 Ní Churreáin is the recipient of literary fellowships from Akademie Schloss Solitude (Germany), Jack Kerouac House (Florida) and Hawthornden Castle (Scotland). She is the 2017-18 Kerry County Council Writer In Residence. Her debut collection of poetry ‘BLOODROOT’ (published by Doire Press) is currently shortlisted for the Shine Strong Award and the Julie Suk Award (U.S). ‘BLOODROOT’ is a book that interweaves elements of history, mythology and autobiography to explore the lives of Irish women, including those women whose lives were made public in the Irish mainstream media in the ‘80’s and ‘90’s. The title poem is set at the Castlepollard Mother and Baby Home and the entire book is dedicated to the author’s foremothers. Many of the poems deal the themes of loss, grief, silence, hope and transformation. In the Irish Times, reviewer Catriona O’ Reilly wrote “the poems in Bloodroot, with their musicality and sensuousness, as well as their fearlessness, mark the welcome appearance of a fresh and vivid new voice”. Seán Lysaght has published six volumes of poems, including The Clare Island Survey (1991), Scarecrow (1998), The Mouth of a River (2007) and Carnival Masks (2014), all from Gallery Press. He has also published a translation of Goethe’s Venetian Epigrams (Gallery, 2008), a verse narrative of the life of Edmund Spenser, and, most recently, a prose work, Eagle Country (Little Toller, 2018). 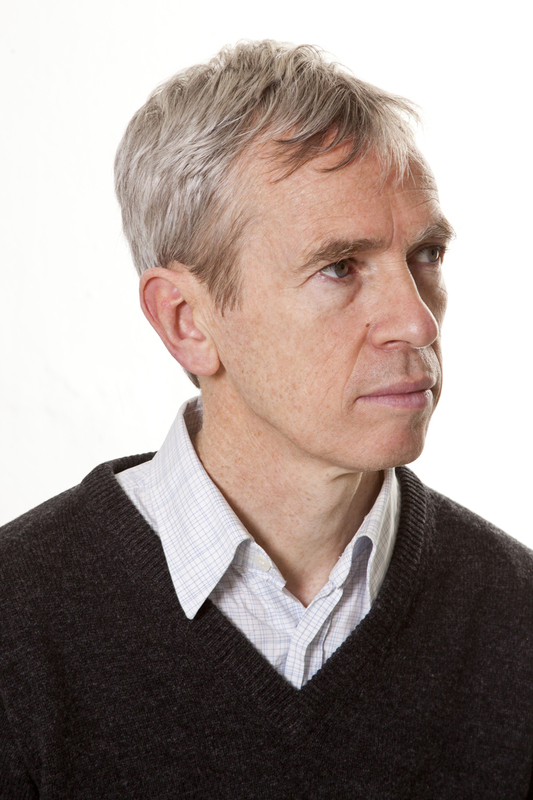 He won the Lawrence O’Shaughnessy Poetry Award in 2007 and his Selected Poems appeared from Gallery in 2010. He lives in Westport, County Mayo. Eagle Country is a quest into the wild places of Mayo and the west of Ireland. What began as a series of walks along the roads close to the author’s house, exploring the fractal of country lanes and boreens, became an epic journey across the remote hills and rugged sea coasts in search of places where sea eagles and golden eagles nested before their local extinction in the twentieth century. Captivated by the history and fortunes of Ireland’s eagles, Seán Lysaght walked in west Cork and Kerry, to the lakes of Killarney, Lough Derg in County Clare, and to Glenveagh National Park in north-west Donegal. Based on his observations of people, landscapes and wildlife along the way, Eagle Country unfolds before us like a prose map, marking out the memories, place names and folklore that have been shaped by a vanished species. It also celebrates the return of sea eagles and golden eagles to Ireland, following successful reintroduction programmes. 13:00 Lunch: Gielty’s Bar Dooagh. Further Readings: Annemarie Ní Churreáin and Sean Lysaght. 20:00 ‘The Wonders of the Wake’ : Stage event, music recitals by Kevin Toolis. Wavecrest Hotel, Dooagh. The Wonders of the Wake is a unique celebration of one of the oldest rites of humanity the Irish Wake in song, harp, keening, bardic poetry and story-telling. From the ancient Neolithic graves of Slievemore, to the plains of Troy and Homer’s Iliad, to yesterday’s funeral, the Irish Wake still teaches us all how to live, love and die. The Wonders of the Wake in music, song and word celebrates the craic, the joy, the prumsái, and the haunting, lamenting keening of a traditional Irish Wake. Don’t miss the world premiere of this groundbreaking show. 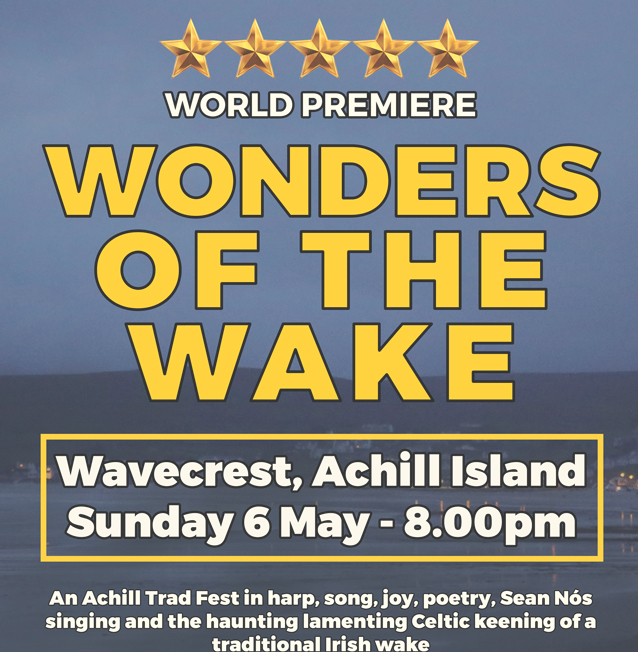 The Wonders of the Wake is a collaboration between Kevin Toolis author of My Father’s Wake: How the Irish Teach us to Live, Love and Die and renowned harpist Joleen McLaughlin of the Henry Girls and other artists, including, Mary Dillon and Tiona McSherry. Kevin Toolis is a BAFTA winning filmmaker and author of My Father’s Wake: How the Irish Teach Us to Live, Love and Die. He is the writer of an acclaimed chronicle of the Troubles Rebel Hearts and has written and reported on conflicts for the New York Times and The Guardian. He is also the playwright of the London West End political satire The Confessions of Gordon Brown. His family have lived in the same ocean side village in Achill island off the coast of Mayo for the last 200 years. Tickets can be purchased for the whole weekend or for individual events.